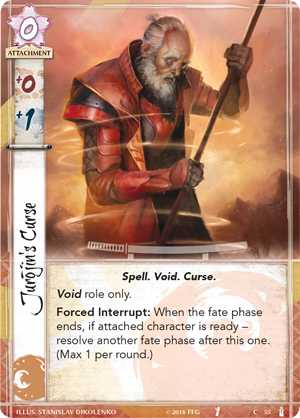 While the Elemental Cycle introduces powerful Shugenja and Spells in the Emerald Empire, these masters of magic are not the only samurai of Rokugan. Bushi and Courtiers stand at the ready to defend their clans, and though they may not be able to control the elements, they display their own considerable skills on the battlefield and in court. 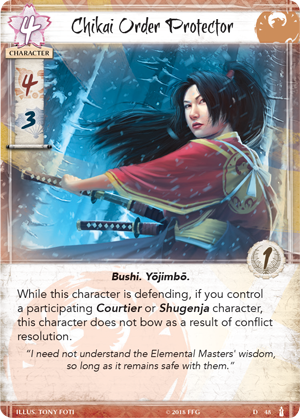 The Fires Within, the third Dynasty Pack in the Elemental Cycle for Legend of the Five Rings: The Card Game is available now from your local retailer or our website! 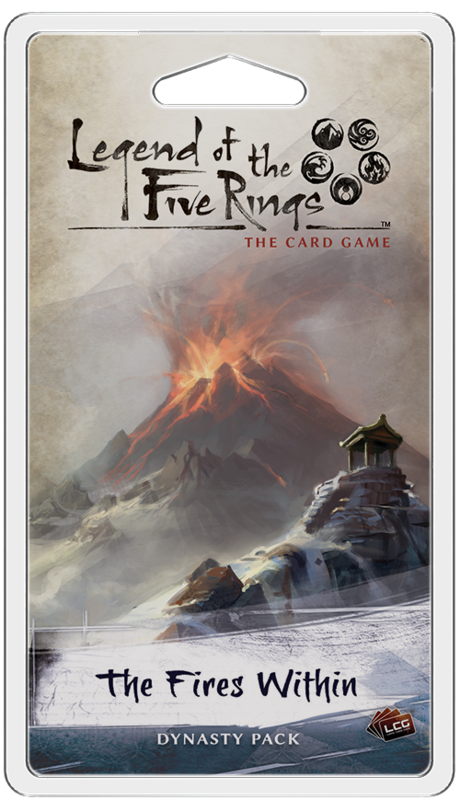 Within the cards ofThe Fires Within, you'll find a variety of cards featuring the Fire trait and playing into the major themes of the cycle. Along the way, you'll also find new Courtiers, Shugenja, Bushi, Spells, and more designed to enhance every Great Clan of Rokugan. The Phoenix Clan features some of the most prolific Shugenja, but that is not the only power they wield. The Chikai Order are some of the most skilled Bushi in Rokugan, dedicated to protecting their clan, no matter the cost, and the Chikai Order Protector (The Fires Within, 48) is no exception—when this character is defending alongside a Courtier or Shugenja character, the Chikai Order Protector will not bow at the end of the conflict! 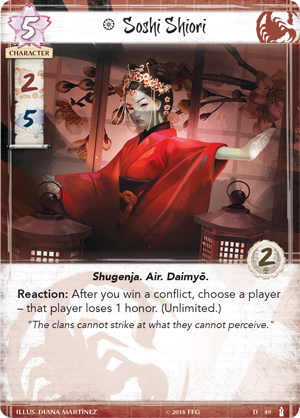 Since the Phoenix’s most common samurai are often Shugenja, it shouldn’t be too hard to find an appropriate partner for Chikai Order Protector, but the Courtiers of the clan can also provide that needed synergy. 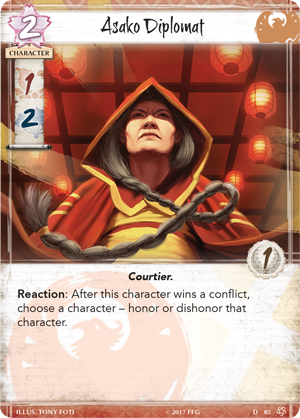 For example, if you win a conflict with the Asako Diplomat (Core Set, 85) and Chikai Order Protector, not only will the Chikai Order Protector remain ready, you have the opportunity to honor it with the Asako Diplomat, giving this character a boost for its next conflict. The Shugenja defended by the Chikai Order are known for casting some of the most fearsome spells in the Emerald Empire, and The Fires Within introduces one of these spells in the form of Jurōjin's Curse (The Fires Within, 55), powerful Void magic that accelerates the effects of time: when the fate phase ends, if the attached character is ready, another fate phase is immediately resolved. This powerful effect can see characters rapidly leaving play as they lose two fate during a single round. Of course, you must prepare accordingly, leaving the attached character ready. However this can also work to your advantage. If you don’t want to initiate the second fate phase, simply put the attached character into a conflict, bowing them and allowing you to bide your time to unleash Jurōjin’s Curse at the perfect moment. As the elements fall out of balance, it is more important than ever to rever the past. The Lion call upon their ancestors to aid them in their cause, and ancient Weapons also provide an unmistakable boon in combat. The Ancestral Armory (The Fires Within, 47) is a holding that not only boosts your province strength by two, but in times of need, it can be sacrificed to bring back a Weapon from your discard pile. 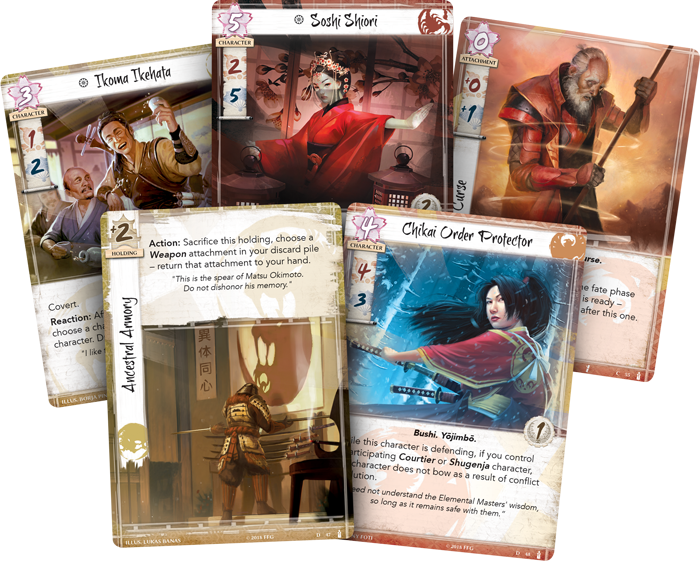 With the temporary nature of characters in Legend of the Five Rings: The Card Game, granting weapons to your characters can be a temporary proposition, as the attachments disappear as quickly as their wielder. 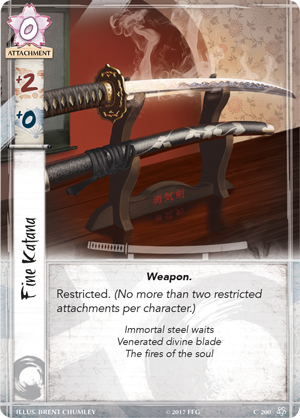 However, with Ancestral Armory, your Fine Katanas (Core Set, 200) will have a second life, as the relics of the past gain new life in the present. Most Lion are more interested in wielding a weapon than having lighthearted conversation. Ikoma Ikehata (The Fires Within, 46) is not your typical Lion. As a Courtier, Ikehata is better suited for the courts than the battlefield, and even then, he uses tactics that are rare for a member of his clan. Though he has little military or political skill, Ikoma Ikehata can bypass his biggest threats with covert. While this makes him valuable in any conflict, Ikoma Ikehata receives an extra bonus if he's able to win a political conflict—you can honor one of your characters and draw a card. 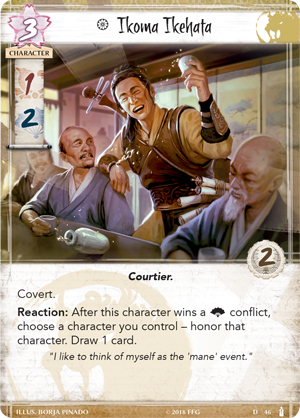 Ikehata himself has two glory, meaning you will always have a solid character to honor, and drawing a card increases your options without impacting your honor later down the line. With these twin abilities in mind, this unassuming Courtier can become a linchpin of Lion success. 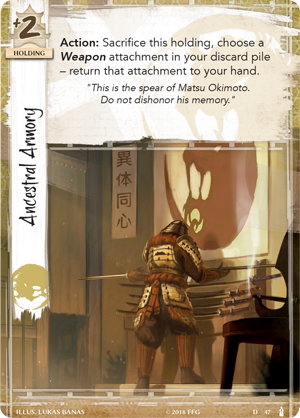 The Scorpion Clan value duty above all else, even if it costs them their honor, and they are not afraid to force other clans on a similar path in Legend of the Five Rings: The Card Game. Soshi Shiori (The Fires Within, 49) is the Daimyō of the Soshi family, and a powerful Air Shugenja. With a fate cost of five, it's quite an investment to recruit her to the battlefield, but the benefits are near limitless. Not only does Shiori have a massive five political skill, but after you win a conflict, you choose a player to lose an honor. This ability can be used any number of times, inviting you to tax your opponent every time they lose a conflict… or push yourself below an honor threshold to activate your most powerful tactics. And as you may have noticed, Soshi Shiori doesn’t even have to be participating in the conflict to trigger this effect, meaning she can manipulate events from behind the scenes, draining one honor at a time until your opponent is left in shambles. The Scorpion are already adept at dishonoring their opponent, and Soshi Shiori lets them take this strategy one step further. While The Fires Within contains the power of flame, it is also home to non-Fire cards that are just as explosive. New Shugenja, Spells, Courtiers, Bushi, and more await, enhancing the Great Clans and providing them even more tools in the conflicts to come. As the elements continue to come undone, who will rise to the top of the Emerald Empire? Take the next step in the Elemental Cycle with The Fires Within (L5C11), available now from your local retailer or our website!